Do you love to look up at a dark night sky and see the stars? If you live in the big city like I do, that doesn’t happen that often, thanks to all the light pollution. 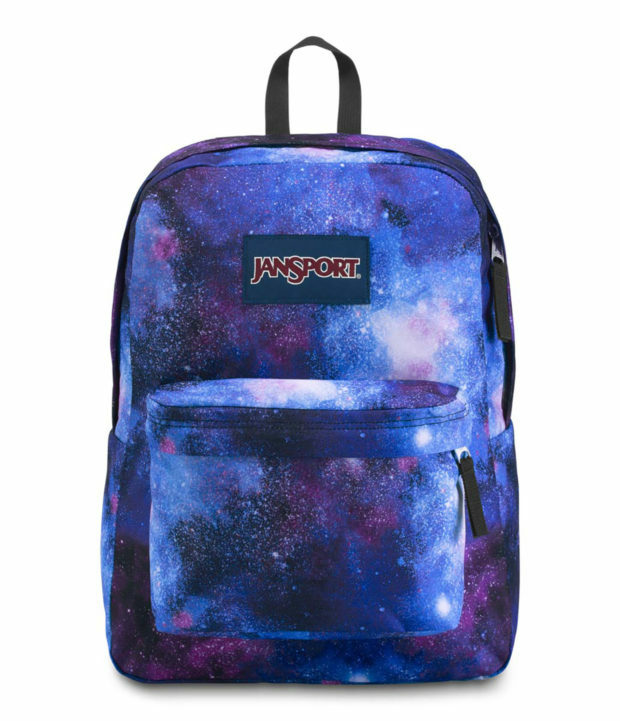 But with one of these sweet galactic themed backpacks and bags from Jansport, you can enjoy a beautiful view of the deepest of space any time you feel like it. 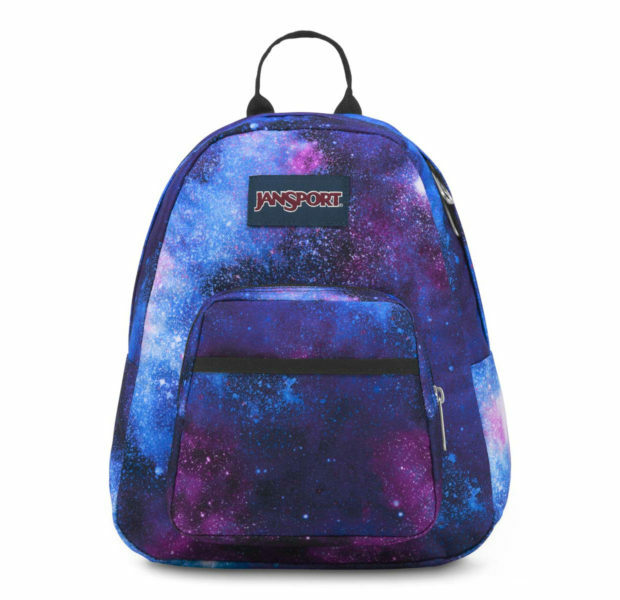 Each pack comes covered with a rich and colorful galactic image, in bold shades of purple, magenta, blue, and rich black. The design is available on a variety of bags, including the big Superbreak backpack ($36) shown above, as well as the trapezoidal Half Pint Mini backpack ($25) and Weekender Mini bag ($20) shown below. 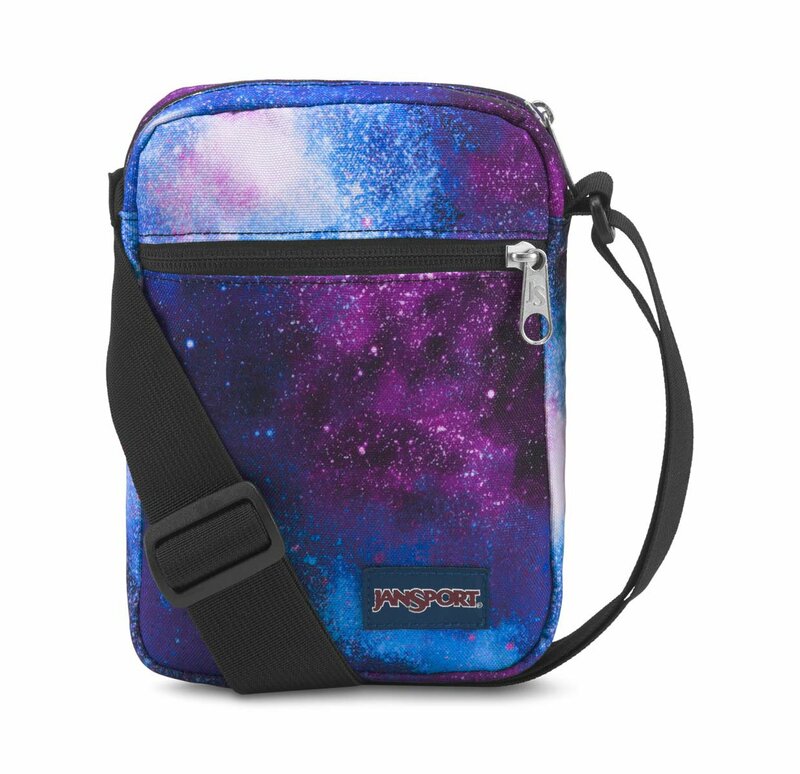 If you poke around the Jansport website, you’ll find the design on a number of other bags.